"Once we mix in real science with the possibility of extraterrestrial life, we can learn much about our current dilemmas and, hopefully, about our survival as a species." 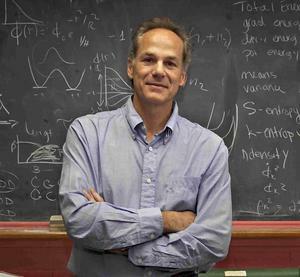 according to Marcelo Gleiser, theoretical physicist and writer — and a professor of natural philosophy, physics and astronomy at Dartmouth College. His latest book is The Simple Beauty of the Unexpected: A Natural Philosopher's Quest for Trout and the Meaning of Everything. 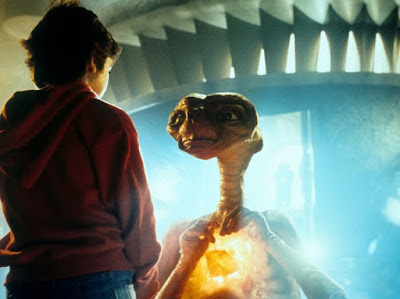 Elliott, played by Henry Thomas, talks with E.T. in a scene from the 1982 movie E.T. the Extra-Terrestrial. Judging from the deluge of recent movies featuring aliens of all sorts — Dr. Strange, Arrival, the upcoming Star Wars movie Rogue One — we can't help but be fascinated with these imaginary creatures. They live deep in our collective unconscious, mirroring the good and evil we are capable of. In a real sense, the aliens are us. They reflect what we know of the world and ourselves, our expectations and fears, our hopes and despair. But there is something else with aliens, something we rarely pause to consider. Not so much the fictional types that live on our pages or screens, but the ones that may actually exist out there, in a corner of our galaxy, or possibly in other galaxies far, far away. Once we mix in real science with the possibility of extraterrestrial life, we can learn much about our current dilemmas and, hopefully, about our survival as a species. Let's do some quick numbers for context. Like us, aliens (at least the ones with life forms similar to ours — carbon-based, water-dependent) would live on a planet or moon circling a star. Their survival would depend crucially on the energy output from that star, and on how that radiation interacts with their planetary or lunar atmosphere. In our case, Earth absorbs about 71 percent of the total incoming solar energy: about 23 percent by water vapor, dust and ozone in the atmosphere, and 48 percent by the surface. We get roughly 140 watts per square yard on the ground. Imagine covering the Earth's surface with 140-watt light bulbs and have them all illuminated during Christmas. Not a very smart use of resources — but beautiful, especially if seen from space. In any case, for a planet to harbor life for a long time, it needs to be fairly stable: Its orbit can't be erratic. Its atmospheric composition can't change very quickly. Its climate must be fairly stable. It needs to receive and generate large amounts of energy. Aliens out there would need to have planets that have similar properties to these. Our species has been here for about 200,000 years, a mere trifle compared to Earth's age of 4.5 billion years. From a cosmic perspective, we are a baby smart species, with many challenges ahead to ensure our long-term survival. This is where "they" could be useful.